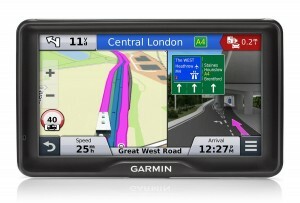 The Garmin dēzl 760LMT is dubbed as Garmin’s most advanced truck navigator. It is designed specifically to make a trucker’s life easier with the numerous features that are included in the unit. It comes with the Lifetime Digital Traffic feature that facilitates a faster, more accurate live traffic service, minus the need of an on-going subscription. The screen size is 7-inches which makes for easier reading of information that is being displayed. The Active Lane Guidance feature enables you stay in the proper lane while at the same time being able to guide you along a route customized for your vehicle. In addition, you will also be shown danger warnings such as sharp bends, exit services ahead and lateral winds, plus trucking points of interest (POIs). Complicated interchanges have been made easy to navigate thanks to this sat nav unit, with information provided about the latest road conditions ahead. The photoReal junction view on the other hand enables you view exits as they appear in real-life, complete with color and detail. It is Smartphone Link compatible, which makes it easy to connect the unit to your smartphone. With this done, information can then be shared between the two devices such as your destination or where you packed. This unit does come preloaded with detailed maps of the UK, Ireland and Europe, inclusive of truck restrictions and information related to a number of motorways and major roads. You can save on time, fuel and money by simply entering the specs of your rig and load – such as weight, height, width, length, and hazardous materials and your profile will be matched with a route. The unit incorporates an onboard Trip Planner that enables you create routes with numerous stops to drive now or save for the future. 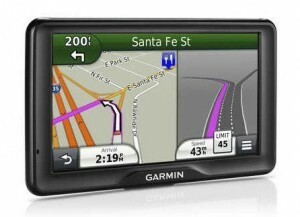 Improvement upon record keeping and your reports’ accuracy can also be achieved on this sat nav. This is because it will routinely record the number of miles driven in a given state or province when you record fuel usage. The information got can then be transferred onto your computer and be used in filling out logbooks, tax materials, and other forms. Thanks to the Bluetooth capability, complete with built-in microphone and speaker, you are able to keep your focus on the road as you talk hands-free. All you have to do is include your compatible Bluetooth phone. You can also stick to the speed limits as you approach speed cameras thanks to the Cyclops Speed Camera alerts. 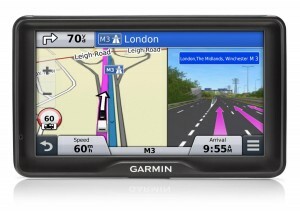 Last but not least, this sat nav unit is able to automatically change time zones and provide you sunrise/sunset times in addition to being able to receive notifications when a country border is crossed. Video input for backup camera compatibility is available for your peace of mind and this unit’s platform is fully supported by the Garmin Fleet Management Interface. You are also able to log your Hours of Service and status, let the sat nav keep track of the same and then proceed to warn you in advance in case of any potential violations.